Eco Styler Olive Oil Styling Gel - Really Impressed! 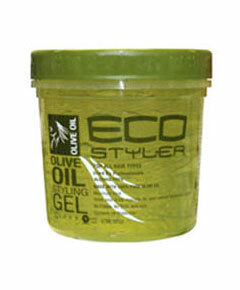 On Monday (March 07th) evening I was bored so I decided to experiment with Eco Styler Olive Oil Styling Gel. I hadn’t tried it since buying it. My hair was dry and I just placed loads on sections of hair, and twisted them. In total I only did about 17 Twists. Very basic! Some of the twist were VERY fat! It was fun and I was so SURPRISED at the results. It looked like when I wash my hair and the curls and spirals get all defined and my hair becomes a cute soft curly afro. I loved it even though it SHRUNK A LOT, (just like when its being washed) but it’s SO Cute it still looks wearable. In these photos it’s still slightly wet. The next morning (March 08th) I Spritzed it A LOT with my Leave-In Mix (click here to see how I make my Daily Leave-In Mix) The Shine had Reduced a lot but the spritz did help and maybe next time I’ll try a little natural oil. I was still happy with it so I did an afro puff. SO HAPPY with my hair that day!! By the end of the day it looked like it had Dried out a lot but it still felt surprisingly soft. I think maybe by the end of the day there was a bit more frizz, but I couldn’t see the back to tell. 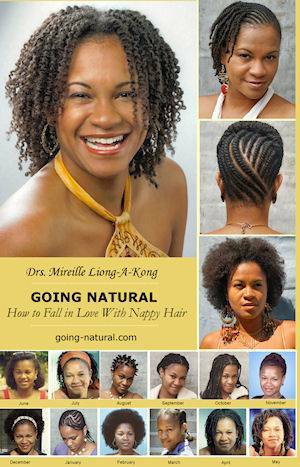 On the way home an African lady with relaxed hair saw me reading Going Natural, on the tube, and started asking me about it. Most European salons have officially trained and qualified hairdressers, while a large majority of Afro-Caribbean salons (in London at least), tend to have hair-dressers who’ve learn their skills from practice without having officially studied. Anyway, she was encouraging about my hair and said she was interested because she really wanted to go natural but wasn’t sure about it, so I encouraged her right back!